Monday, Apr. 15, 6:30 p.m. - 8:00 p.m. Lets have a conversation about literature. 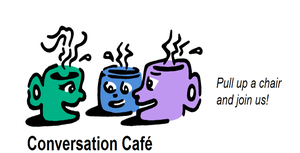 For basic information about the Conversation Cafe method go to Conversation Cafe basics.